It is said that the Egyptians were the first to bow down to him. They knew this demonic spirit as Ammon, although he had other names including Amun, Amen and Ammon-Ra, the sun god. He was sometimes portrayed in Egyptian art as a man with the head of a bird. This devious spirit may even go farther back into history. The Sumerian King List, a controversial record of all the rulers of Earth dating over 400,000 years, lists as immortal gods such names as Enmeduranki, Annunaki, Nephilim, Nefiim, and Elohim, all linking us to an ancient story of a visit by an alien race called the Annunaki, who some believe were the parents of the human race on this planet. The Sumerian name Enmeduranki meant "ruler whose me connect Heaven and Earth." And Annunaki means "Those who from Heaven to Earth came." Interestingly enough, the main gods of the Sumerians included Anu, Ninhaursag, Enlil, Enki and Ea. Notice the similarities between the names Amon, Amun and Anu. This particular spirit has been influencing Middle Eastern culture since before the time of Abraham, and I believe he is still there, deeply embedded in the mind-set of the Arab and possibly even the Jewish people. 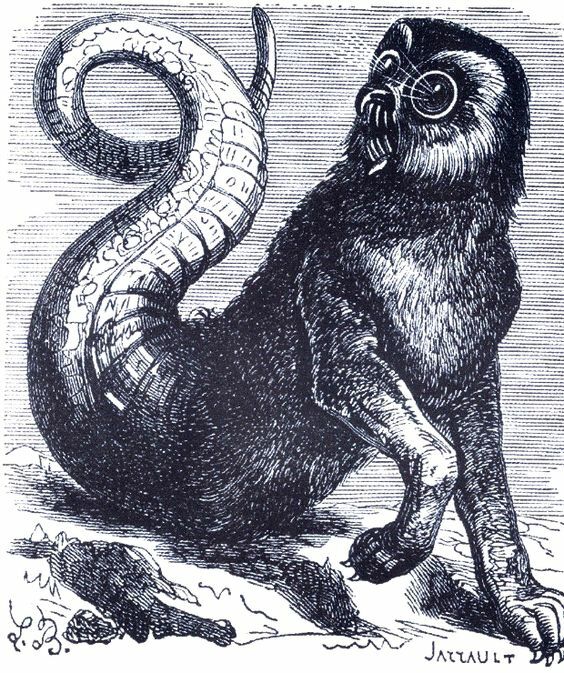 A nasty one, and perhaps well portrayed in the ancient artist drawing showing him as a strange beast with a long, curling serpentine like tail. Some magicians said Amon appeared as a wolf with a serpent's tail. They said he sometimes would change into the form of a man with the head of a raven. This appears to have been how the Egyptians saw him. This ancient spirit is obviously one of the antagonizes, manipulators, and possibly one of the fathers of the billions of people who comprise the Middle Eastern culture. He is the seventh spirit of the goetia. Whatever his origin, he is, indeed, a great trickster.